Krishna consciousness, remembrance of the divine feet of Krishna – krsna-padaravindayoh – will dissipate, destroy the abhadra, what is undesirable, what is not good in us. That which is nasty, which is impure within us, will be destroyed by the continuance of Krishna consciousness. In any stage of its development, even in its lower stage, its slightest, ‘negligent’ connection can destroy our undesirable connection with things of lower nature. And, it will promote goodness within us: sattvasya-suddhim, the substantial character of our existence, will be improved; our soul-existence, that will be purified. Our stand-point, our understanding, our aspiration – everything, will be purified. And, paramatma-bhaktim: we shall attain devotion, attachment to the supersubjective realm; and our knowledge, our conception about that –jnanam cha – will improve. And that knowledge – the conception about Him – will develop to vijnana, a proper connection, and will effect in us viraga-yuktam, apathy to this mundane world. At any cost, we are to maintain our Krishna consciousness. The advice is: try to maintain Krishna consciousness, it is the medicine. And there is no other medicine which can produce Krishna consciousness, which can cure our disease and discover Krishna consciousness within us. Krishna consciousness is the cause of Krishna consciousness! And we have to get help from the sadhus who have got Krishna consciousness within them. Just as, from one candle another candle may be lit. A candle cannot produce light from within, but it is to be lit from another candle – it is something like that. We are to awaken our buried Krishna consciousness, which is covered by ‘anyabhilasa-karmma-jnana’; so, that light, that association, will come to help the sleeping Krishna consciousness within us, and our consciousness will arise from it’s sleep and show itself, as it is. So, the method is that: to take association with the sadhu, devotee of Krishna, is the root-cause of Krishna consciousness. 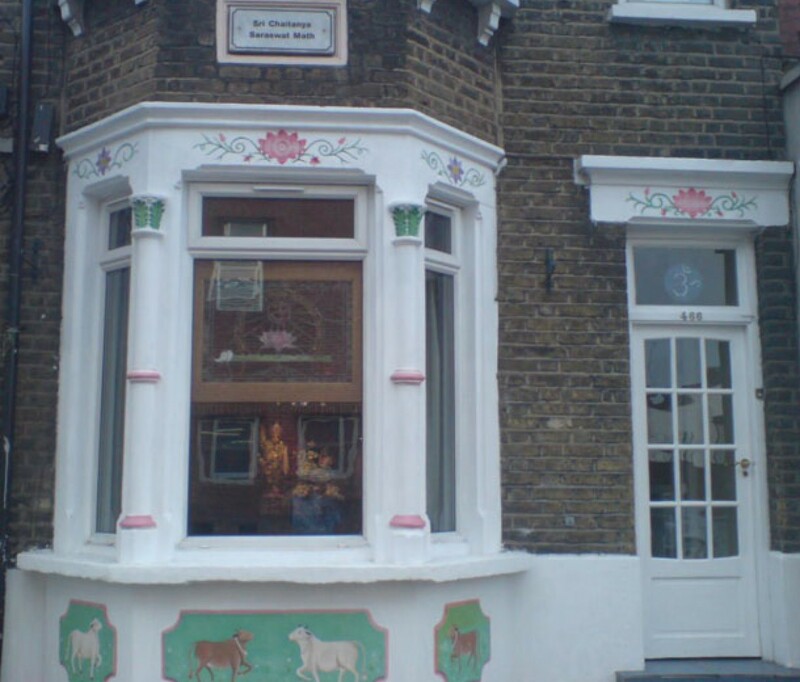 At the same time, it is told that Krishna consciousness is ahaituki, causeless. How are we to harmonise these truths? – Krishna-bhakti, faith in Krishna, or devotion to Krishna, we can get from the sadhu; at the same time it is told that it is ’causeless’. 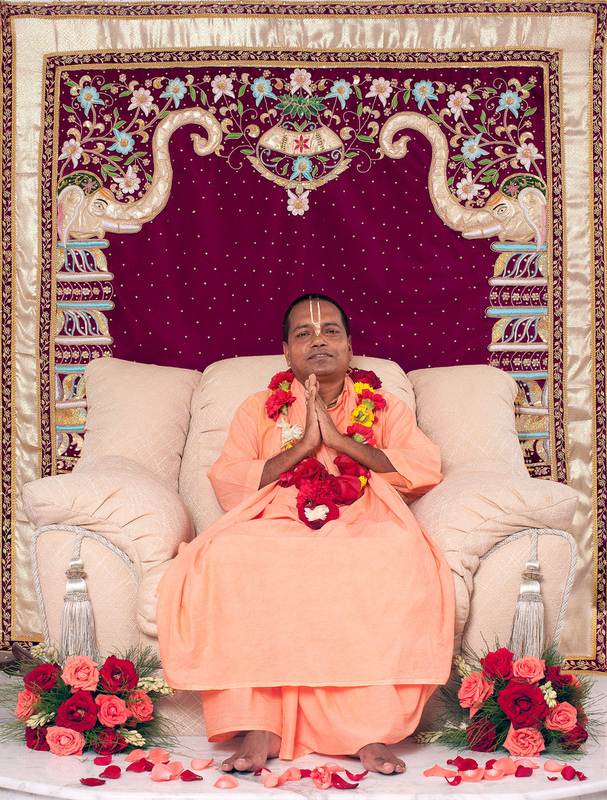 He explains that here, Krsna-bhakti is described as ahaituki, causeless, and also apratihata, continuous – so when it is awakened in our heart, we can feel that our heart is getting wonderfully satisfied, yayatma suprasidati. The satisfaction is produced in our heart, we can feel it. Ahaituky apratihata: it has no cause; and it cannot be checked, cannot be opposed, opposition cannot have any effect there – it is such. Bhakti comes from bhakti. In this way it is ahaituki. Just as, the light is there and another candle is lit from it. From light, light is coming. In this way we are to trace it out, to understand it: the original Light, that is eternal, self-existent, and is extending itself, so it has no cause, it is ’causeless’. The cause is there eternally, and it is extending itself. And, bhakti is apratihata: temporarily, it may seem to be opposed, or apparently checked, but: nehabhikrama-naso ‘sti pratyavayo-na vidyate – [“Even a small beginning in this devotional service can never go in vain nor can any loss be suffered.” (Bhagavad-gita 2:40)] – It won’t leave you! For the time being it may be suppressed a little, but it cannot be finished – it is of eternal character. It is of eternal character: it has got connection with the eternal aspect of the universe. So, it is ‘apratihata‘. We are to come near such sort of existence, we are to come in connection with that plane of life – a particular plane, plenary existence, acquaintance, or nature. It is there; only we are to have our connection with it. Jnanam cha vijnana-viraga-yuktam, you will attain the knowledge of the Absolute as a ‘system’ – of parts, in gradation, a hierarchy. And, ‘viraga’ – viraga has a twofold meaning: one ‘negative’, and the other, ‘positive’. The negative meaning is: you will have no attraction for ‘non-God’ that is, you will have no mundane attachment, no attraction for mundane ‘necessity’. And positive: visisyate-raga – you will have excellent (visisyate) attachment (raga) – that kind of attachment which is accepted through the process of ‘selection and elimination’, attachment located in its proper place. Your attraction (to Him, to God) will not be through a raw or approximate estimation: “This is good, that is bad; this is a mixture…”; but you will have progressively eliminative attraction, adjusted attraction. This is the meaning of viraga-yuktam. So, this knowledge is such: ‘jnanam cha vijnanam-viraga-yuktam‘: knowledge that is supported by (based on) attraction, and also, by experience of the ‘system’, that knows how much attachment – more attachment, or less – is necessary in any part of it. Discriminative attachment: “attachment for the eye, attachment for the hand, they should not be equal”; and adjusted attachment, in a particular system. The attachment should be well-adjusted: wherever, and how much, attention is necessary – the criterion is according to that. So, “the head is more important, and the leg, a little less”. In this way, you will gradually acquire properly-adjusted attachment for the systematic whole. First it is hazy, a ‘mass of attraction’, and then the attraction will be systematised. 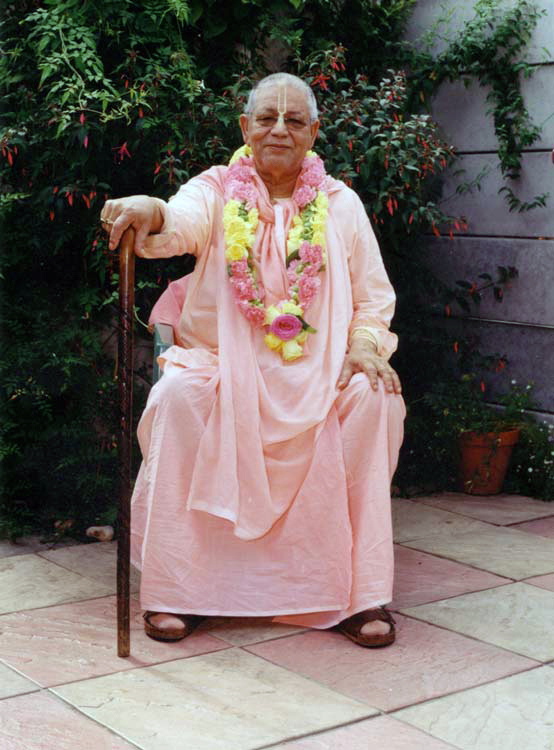 As much as you will come in connection with the other side – the object of your attachment – in a systematic way, so much you will be able to realise (Him). In a general way, the path of good advancement is given here. And, then, ‘sattvasya-suddhim‘: your understanding, in its progress, will have its undesirable portion eliminated. Your conception will become more clear – clearer and clearer. With that clarity, undesirable things from your conception will gradually vanish, and your progress will lead you to the perfect conception: sattvasya-suddhim. In the beginning, that ‘sattva‘ (truth) is what you come to understand in an approximate way, to be ‘eternal’, or sat-chit-ananda (eternal truth, consciousness and bliss), but there will be gradual development in your understanding; it will become more clear and more pure. So, the development towards Krishna consciousness is such. First, a ‘mass of light’; then the figure; then the potency; then the ‘lila‘ (pastimes) with the potency. In this way your approach will be closer and closer, and many things, the closest and minutest things, will come to your view. The minutest part also, the most detailed detailed things – the whole chit-vilasa will be very close to you. You will be led higher and higher, closer to the specified, differentiated view of that plane. 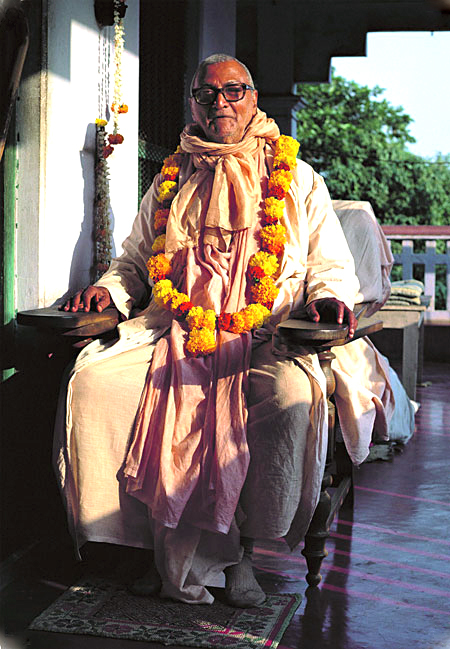 In this way there is progressive development – progress in bhakti, devotion.